"Great trip! I ended up being the only one, so it was like a private tour. For a short..."
"Tour was very well organised. Tour guide ahmad at was the best." 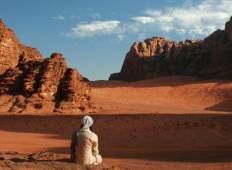 "I went to Jordan in August with On The Go for the Perseids Meteor Shower and I couldn't..."
"I traveled with Globus. The overall experience was ok. 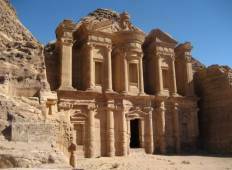 Unfortunately, they joined..."
"The best was the visit to Petra, however the guided tour was short, it did not include..."
"Had an amazing time ❤️"
"my trip was amazing. it was really so much more than i could have expected. Going..."
"It was an excellent tour with fabulous guides - I was so impressed with the friendliness...."
"An unforgettable desert experience with a like minded group." "We had a great time thank you"
"Very well organized tour and the drivers were very nice, helpful and attentive. Thank..."
"Exceeded our expectations - plenty of variety, well paced with lots to see and do..."